Welcome to the Ocean Park, Maine, Winona Beach Gang web site. 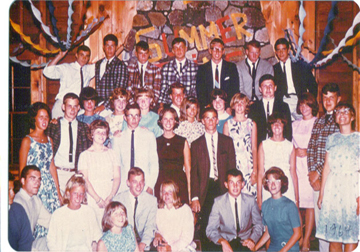 We first got together as teenagers in the early 1960's on the beach at the end of Winona and organized offically with our first semi-formal "Summer Fling" Dance at the Rec Hall on Friday evening, August 16, 1963. 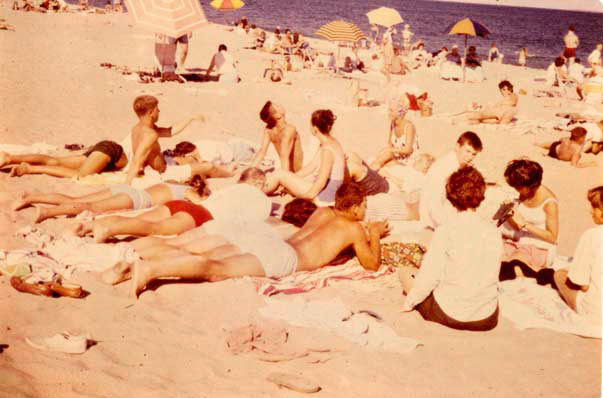 Photos above: on the beach in Aug. '64, and in the Rec Hall (taken by Doug Matthews) at the '64 event. We have had many reunions ever since and now a 50th in 2013! If you where there - it was great to see you again - if you missed it - we will have photos here shortly! On this site we continue to post news, photos, and stories. 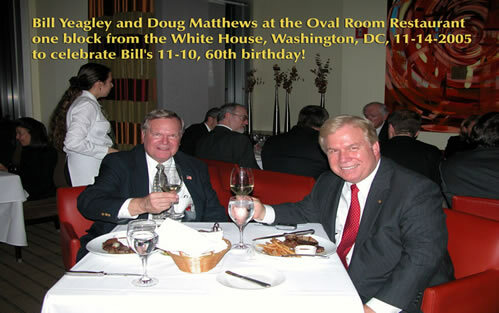 Doug Matthews, is the webmaster and a photo contributor as are Bill Yeagley, Ann McMahon Rusnak and Audrey Young DeLoffi (we look forward to adding your name to the list of contributors). Ann (and her brother Jim) continually update the contact list - so let us know if you are changing addresses, phone numbers or email addresses. Asyou know, we still need your help in finding some lost boys and girls! 50th Reunion: Ann emailed invitations, Doug Matthews prepared a PowerPoint slide show of summer's and reunion's past, Paul Calderone reserved the Biddeford-Saco Country Club for the main event Saturday, Aug. 10, 2013. Audrey Young DeLoffi prepared an after Temple Service Sunday Brunch and Ann provide her cottage for the traditional Sunday evening Trivia Game. Ongoing: We look forward to receiving scanned copies of your old photos, and digital copies of your newer ones, on DVD or sent by FTP (email Doug for FTP instructions through the web site contact page) and Word Document versions of your favorite OP stories (attached to emails) as we are planning on creating a "Memory Book." If you don't have the login and password to the private photo pages, email your request. Call for photos: We would like to post YOUR photos from past reunions and OP days. Obviously, if they are already digital, just burn to a DVD and mail. If they are pre-digital - scan and save them at a minimum 150DPI or maximum 300 DPI, then burn them to a DVD and mail to Doug Matthews.